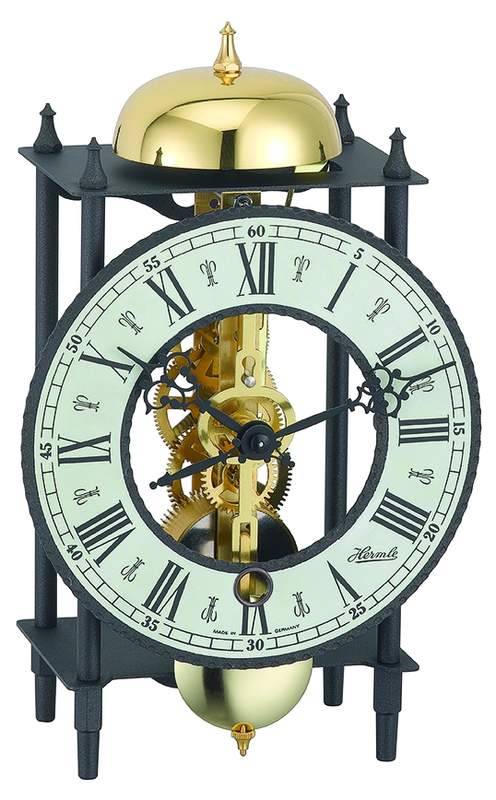 Wrought-iron table clock Mechanical 814-day spring driven skeleton movement with passing bell strike on the hour. Features a polished brass pendulum. Click here to view the Hermle 23001-000711 Options and Prices page.